Carlsen’s tournament record is the perfect definition of boring: repetitive, the “same old thing”, “once again”, “nothing different”, etc. 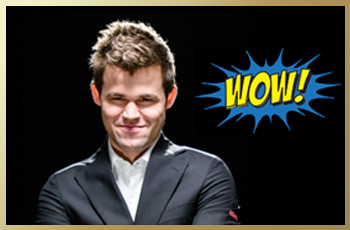 In any other sport, Carlsen would be considered a god. But in chess, Carlsen is just plain boring! Joking aside, winning a tournament like Tata 7 times is one for the record books, and one that is unlikely to be broken any time soon. While Carlsen’s play was hardly his best chess, it was the consistency of his play that allowed him to edge out his nearest rivals. It always does. Before the tournament began, Carlsen had achieved what was probably the longest running ‘draw’ streak ever by a world champion, and even some of his most die-hard fans were beginning to worry. 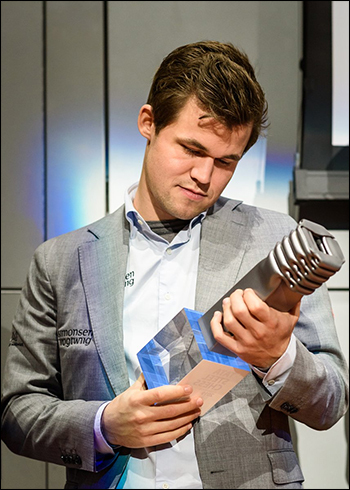 But once Magnus showed us that he still knew how to win a game of chess, then there was little doubt that the Norwegian superstar would rackup yet another trophy. For Magnus, it is a lot like riding a bike…and he fully deserved to win the tournament. Ding,Liren. A name to remember. Tata was yet one more tournament where the Chinese superstar did not lose a single game. Only Carlsen could boast the same. But he won only twice, whereas the Norwegian won 5 games. 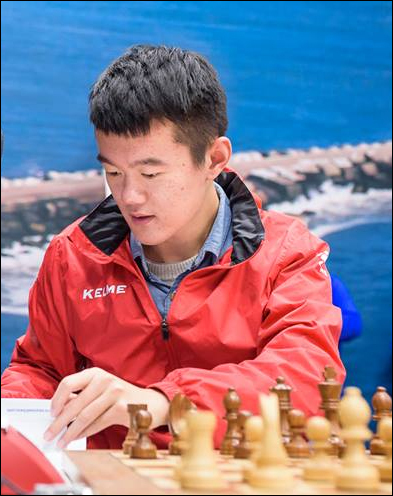 Many see Ding as the next challenger for the World Championship. I think that this is wrong: Ding is going to be the next World Champion! 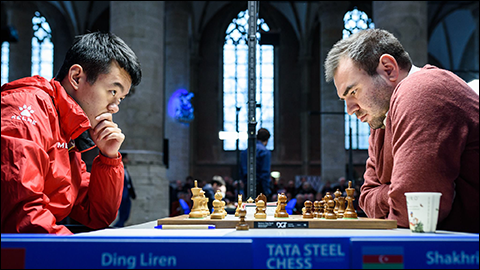 I believe that his best chess is better than Carlsen’s best chess–and this tournament proved it–but Ding’s opponents played better against him than they did against the World Champion, and so this explains Carlsen’s 1.5 point margin. Vladimir Kramnik needs no introduction. 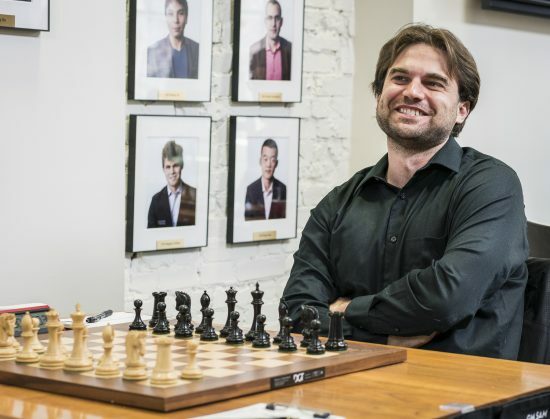 Former World Champion, and the only man of his generation capable of defeating Kasparov in a match. Everything went wrong for Kramnik in this tournament, right from the start. He consistently got good positions, but self destructed time and time again. In the end, his 6 losses guaranteed his last place finish, despite winning twice in the final 3 rounds. Of course, he brought it on himself…Kramnik is trying to change his style of play from that of a positional player to that of an aggressive attacker. Good idea, but certainly the wrong tournament to try this strategy out! 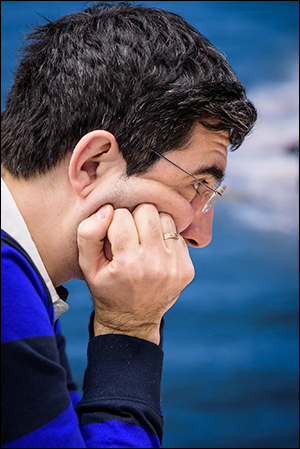 Kramnik is his harshest critic: he accepted his setbacks with a shrug and more than once wrote it all off to his advancing age…I don’t think that Kramnik believed this one bit, but he did not want to have to make lame excuses. Twenty-seven year old Sam Shankland was invited for this year’s Tata tournament by virtue of his consistently top-level performances. Sam had an absolutely brilliant 2018-season, firmly establishing himself as a 2700-plus player. Sam is on a mission. He wants to take on the very best in the world and come out on top. Not an easy task, especially coming from North America. A steady diet of Swiss Open tournaments when he was an up and coming youngster did not quite prepare him for the more demanding round-robbin / knock-out tournaments that are mainstay at the top. Tata_2019 was Sam’s first super-tournament, and he did reasonably well, probably better than most expected of the American. 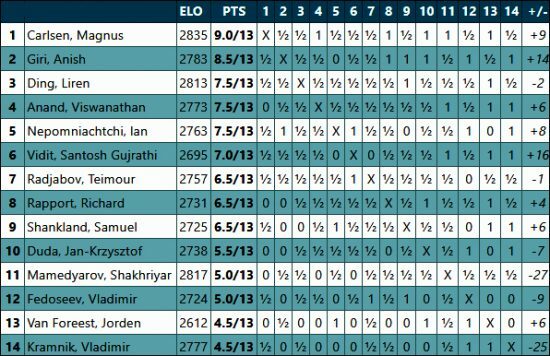 With a bit of help from the off-form Kramnik in the last round, Shankland was able to finish the tournament with a 50% score. Nothing earth shaking, but enough to demonstrate that he is a really strong player. If you watch the video below, snippets from video published by the Tata film production unit, you can get a good idea of Sam’s approach to this tournament, and of his unshakeable self-confidence. Some might consider Sam’s attitude to be a bit unobjective. No body plays his best in these really tough tournaments, especially in his first super-tournament. Also, I think that Sam does not quite understand that in such a great tournament he is expected to finish in the bottom half. This is not a reflection on his own chess skill, but instead acknowledges that there are simply many players better than Sam at this point and time. Sam will need quite a bit more experience in such events to develop his full potential. Atleast, however, Sam’s result in Tata shows that he is competitive with the world’s top players. Previous story Dvorkovich set to step down?